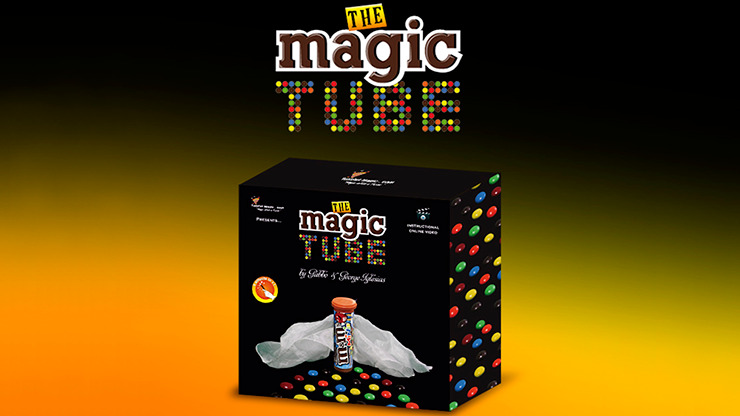 Two colorful scarves and a bunch of M&M's in the most contemporary packaging—a colorful tube—are all the props you need to perform a wonderful candy routine for kids. It’s from the inventive minds of Gabbo Torres and George Iglesias and it’s great for close-up, a living-room birthday party or stage. You’ll be able to perform five different routines with these well-made props. The basic effect (check out the video) includes a colorful silk vanish, reappearance and transformation as well as the magical appearance of M&M's in the empty tube. It’s superb for young children! What you’ll like best about the appearance is that the child holding the empty tube “hears” the M&M's appear when he shakes it—and so will your audience! When they’re poured out, there’s a little treat for everyone! 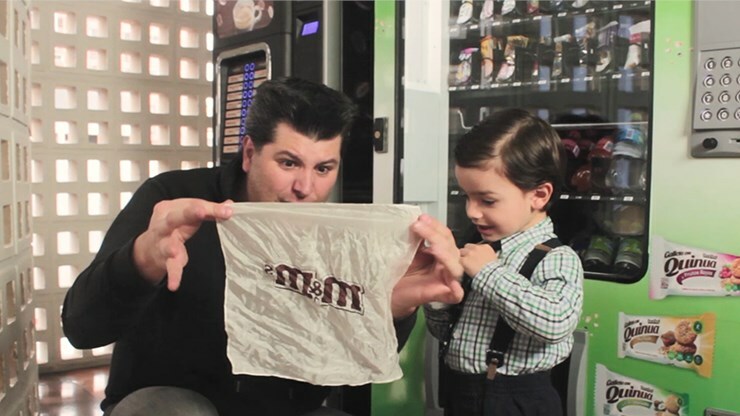 The tube, which is completely examinable afterwards, comes with a special gimmick and instructions for four additional magic and mentalism routines for older kids and teens. These ideas will stimulate your own creativity. 1. COLOR CHANGE: Magically change all the M&M's into the same color while inside the tube! 2. CANDY CLAIRVOYANCE: The spectator pours a random quantity into her hand and you magically reveal exactly how many M&M's she’s holding as well as the colors! 3. COLOR CHANGE #2: Magically change an assortment of M&M's a child is holding in her hand, into all the same color. 4. 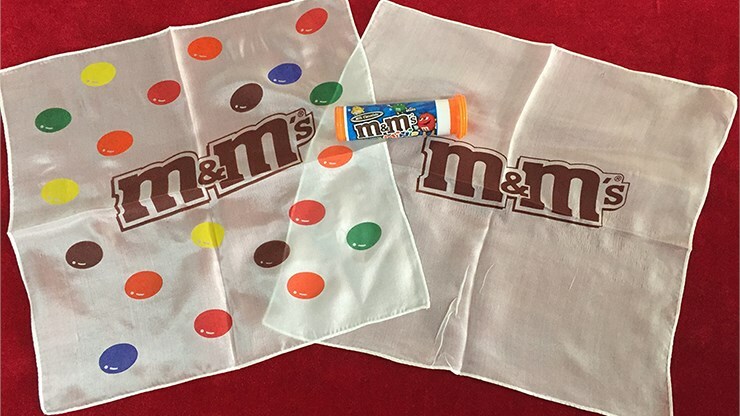 CANDY RISE: Make the last few M&M's in the tube rise to the top and fill the tube completely. You’ll need to supply the M&M's. At AmazeKids, we suggest using the mini-M&M's. Chocolate candies are ever-present at birthday parties and holiday celebrations where magicians perform. That’s why, whether you’re a hobbyist or professional, you’ll find The Magic Tube will fit right into your repertoire and make your show magically delicious!